Australia is planning to build a new generation of submarines. The best option: lease America’s prized nuclear submarines. Australia’s six expensive, unreliable Collins Class submarines should be a warning of the risks involved in designing and building a submarine in Australia. These risks are amplified by the challenges facing Australia’s defense forces such as the rise of China, diminishing U.S. power, and expansion of submarine forces across the Asia-Pacific region. In this strategic context, in 2009 the federal government committed to replacing the Collins Class with 12 diesel-powered Future Submarines costing an estimated $40 billion and assembled in Adelaide. Unfortunately, the project has been marred by delays and poor decisions. Primarily because of its failed defense ‘self-reliance’ policy, the government erroneously ruled out considering nuclear-powered submarines. Australia needs the best submarines it can get, and that means the U.S. Navy’s Virginia Class nuclear-powered attack submarine.The traits the Australian Navy wants in the Future Submarines, such as longer range, endurance and improved capabilities over the Collins Class, can only be found in nuclear-powered submarines. Instead, the government will almost certainly take the exceedingly risky step of substantially redesigning and jury-rigging an existing submarine design, basically repeating the Collins Class process all over again. If the rocky path that the Collins Class took to service wasn’t enough of a warning against developing our own submarines, the recent data should make decision makers think twice about it. The Collins Class submarines are expensive. Maintenance and operating costs are likely to exceed $1 billion a year by 2021. They are also unreliable. Between 2009 and 2011, there were always at least three (usually four or five) submarines unavailable due to defects or maintenance. The history of the Collins Class submarines is littered with failures and problems. This is due to systemic issues within the Navy and the risk inherent in developmental programs. These issues and risks will be inherited by the Future Submarines. The alternative, the Virginia Class, is less risky and would provide Australia with a major edge over the submarine forces in the South East Asian region. The Virginia Class can cover great distances at much higher speeds than any diesel submarine. It never needs to be refuelled and isn’t as vulnerable as the Collins Class because its nuclear power plant alleviates the need to surface every few days to recharge its batteries. The Virginia Class can carry out longer deployments and operate much more powerful sensors and systems (especially unmanned undersea vehicles) because of its much greater endurance and power-generation capability. The Virginia Class is more powerful, more flexible and more capable than the Collins Class and any other diesel submarine. The United States is rebalancing its fleet towards the Pacific and facing a serious funding crisis. 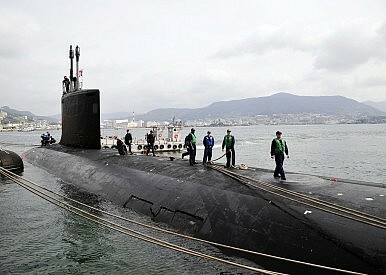 It would seriously consider a request from Australia to lease Virginia Class submarines. It serves U.S. interests to ensure Australia has capable, reliable submarines. If Australia leased eight Virginia Class submarines, it could deploy two submarines continuously. Based on the unreliable nature of the Collins Class, a fleet of 12 Future Submarines would be needed to do the same. Leasing the Virginia Class submarines together with training, upgrades, sustainment and disposal of spent nuclear material would limit the risks and challenges of establishing a nuclear submarine program. It would cost less too at about $20 billion upfront, plus $4 billion to $6 billion for facilities and setup costs, a savings of more than $10 billion from current estimates for the Future Submarines. Three-quarters of a billion dollars a year in operational savings might be achieved as well – a Collins Class submarine costs Australia a lot more to run than a Virginia Class submarine costs the United States. While nuclear safety is an important consideration, U.S. nuclear-powered submarines have a perfect safety record, having travelled more than 240 million kilometres without a single reactor incident and visited Australian bases since 1960 without any problems. Moreover, submarine reactors are a fraction of the size of a nuclear power plant and much less dangerous. Critics cite reliance on foreign support as a reason why Australia shouldn’t operate nuclear-powered submarines. These concerns are spurious. In reality, Australia already relies heavily for the development and sustainment of its platforms on foreign defense forces and foreign defense companies, and their Australian subsidiaries. This also ignores the capability limitations resulting from Australia’s declining defense budget. It is necessary to re-examine the limits of self-reliance to ensure Australia gets the strongest defense force it can for the money the government is willing to spend. Leasing Virginia Class nuclear-powered submarines would revitalize Australia’s submarine program, help fix some of the systemic issues with naval sustainment, and avoid the major risks inherent to a developmental submarine program. It is the best option for the Future Submarines. Simon Cowan is a Research Fellow at The Centre for Independent Studies and author of the report “The Future Submarine Project Should Raise Periscope For Another Look”.